Development of the Guideline on resistance to progressive collapse, an Ontario requirement for high rise residential buildings with in-suite natural gas supply, is summarized. Noteworthy is the requirement to consider the failure of more than a single member. Included is a design pressure formula for window vented suites. 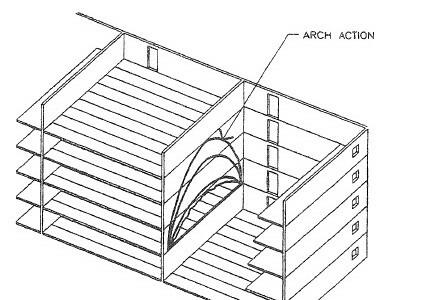 For the most common types of masonry buildings, precast slab or concrete slab on steel joist floors on concrete masonry cross walls, conceptual design approaches to develop alternate load paths are given. These include both in-plane and out-of-plane arching. 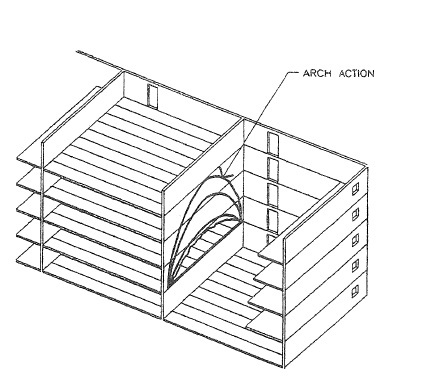 Also illustrated are mechanisms for maintaining support of floors.